How to Change the language and region on your realme Phone? 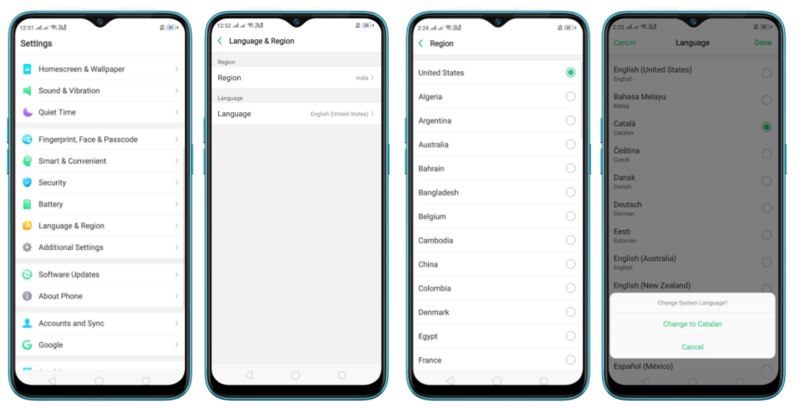 Learn how to change the language and region settings on your realme phone. Set up your realme phone for the first time. 1. When you turn on and you can select the language and region when prompted. 2. Change the language and region on your realme phone in daily use. Go to [Settings] > [Language & Region], pick your language and region from the list respectively. Then tap Done. Note: when changing Language, you'll be asked for your Passcode lock. 1. Restart your realme phone. 2. Detect and update your phone system to . 3. Your data first, then reset your realme phone to factory settings.